The Apollo High Aerobic Step is a great new training tool, ideal for toning your legs, lower body that is incorporated in a high intensity cardiovascular workout. This way, you can get in shape, step by step and adjust the height of the step to your particular needs. 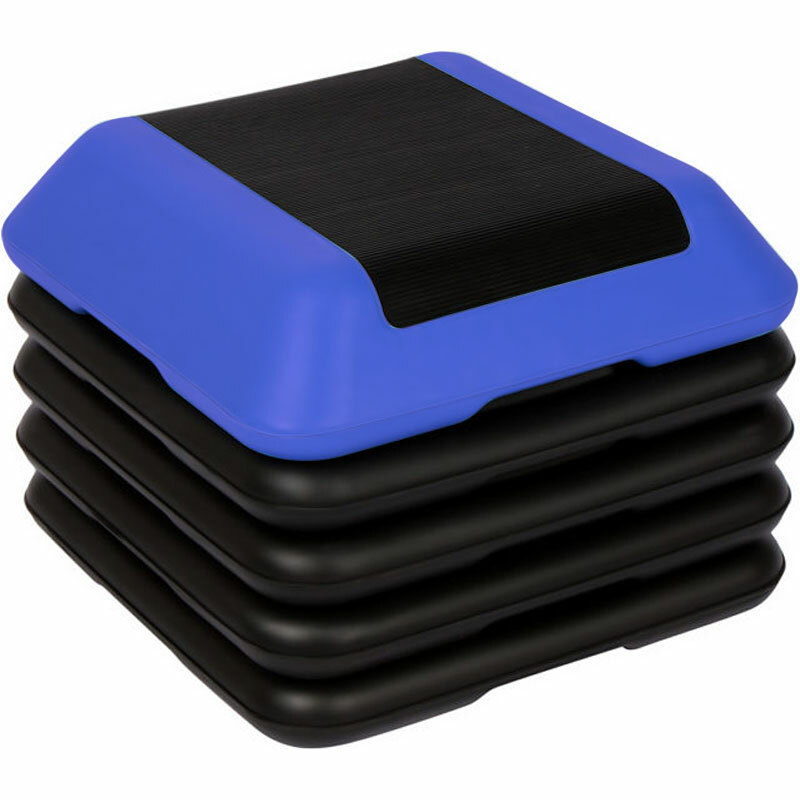 The non-slip, textured surface on the platform of this exercise step, along with the rubber feet, provides ultimate grip and prevents slipping off. The set includes 4 feet risers and 1 base which are very easy to adjust. The height of the step is 30cm with the 4 feet risers, taking a riser off will decrease the height by 5cm. 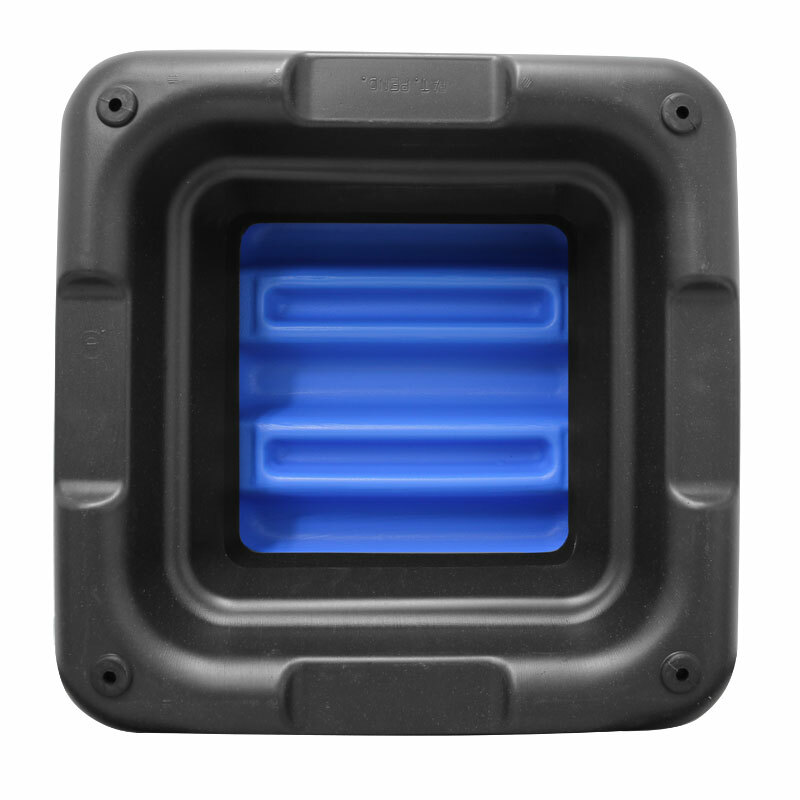 Extra feet risers can also be purchased separately for more plyometric based exercise. 1 x 40cm square stepping surface. Slip-proof, durable mat on top, non-marking rubber floor pads. 5 out of 5 Great must have item! Arrived quickly and well packaged. The item is light weight and easier to store than a long step box. This box can be used for a number of exercise as well as step aerobics for an all over work out. The box also raises to a height that not all step boxes go to, the height allows you to increase the impact of the exercises to strengthen & tone muscles. Videos for workouts can be found on YouTube so you can use your mobile or tv to access the workouts and enjoy getting fit. I would recommend. Got these because my wife has workout dvds for these, but couldn't do the workouts because she couldn't get hold of the hi step until now. One very happy lady now. It has to be on a solid floor ( not carpet) but it's great very versatile and sturdy. It is easy to store, and easy to use. This step is great for what I want, it doesn't take up too much room, is easy adjustable, has a non slip surface and is very sturdy. I have a home gym and wanted something compact but strong enough to use when I have weights in my hands and this does all of that. Would definitely recommend. Good quality step which is higher than a lot you can buy. Easy to order and arrived really quickly. Would defo recommend.